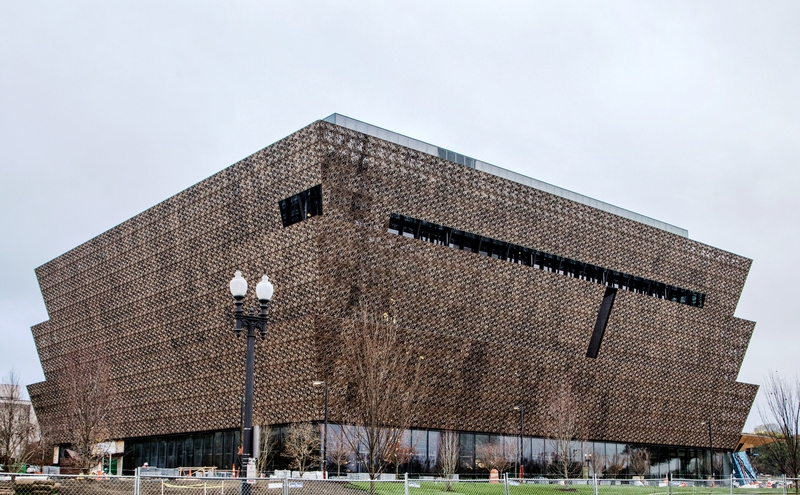 The Smithsonians National Museum of African American History and Culture is situated in the last available space on the National Mall, between the National Museum of American History and the Washington Monument. The Smithsonians National Museum of African American History and Culture is situated in the last available space on the National Mall, between the National Museum of American History and the Washington Monument. The almost 325,000 square-foot facility is unlike any the other museums in the Mall. The bronze and glass-panel facade, called the Corona, represents traditional African architecture using modern materials. The Corona hangs from the top of the museum with no intermediate support and the museums five above-ground levels are supported by four concrete towers linked at the top by steel trusses. The museum is designed to achieve LEED® Gold certification and sustainable elements include solar hot water panels on the roof and a geothermal ground water system.